A Wonderful Romantic Read: A gallant German knight, in year 1848, woos English-born Lady Lenora with his charm, honor, consistency, loyalty and irksome sky-blue eyes! About the Story: Lady Lenora Trevelayan a high-born English lady discovers her fiancé, Prince Kurt von Rotenburg of the German Confederation, a most cruel man, initially slapping her for small errors as she learns how to be his princess. She doesn’t need such a man, packs her bags to return to England and her parents, yet cannot depart. He rules by fear and controls the servants; she becoming a prisoner to taunt. Indignities continue until she can take no more. She was publically flogged – a lashing of 26 strokes. As far as she was concerned, she had earned her freedom. She WOULD escape. She let not a scream pass her lips, but close to falling barely able to walk, was ‘escorted’ to her chamber by a huge, towering man who spoke kind words of encouragement to her. She spent many a day in bed healing from Prince Kurt’s cruelty and plotting her escape. Lenora escapes but gets caught by a rebel group in the turmoil of the German revolution. She thought her fate sealed, but she was a fighter and had with her a knife she knew how to use. As fortune would have it, the rebel leader was none other than the blacksmith who had seen her lashed and had taken her inside the castle. Wolfram von Wolfsbach und Ravensworth was half English known in England as the Earl of Ravensworth, and a knight from a line of knights 800 years past. He believed in the cause of the revolution. He was a giant of a man with compassion and gentleness who recognized Lady Lenora as his lady, his damsel in distress—he her gallant knight. He felt it in his knightly soul. It was love at first sight when he saw Lady Lenora stretched upon the lashing post, taking her whipping with bravery. Wolf is soon to learn that Lenora definitely is not a damsel in distress. My Thoughts: The story well-written and tightly plotted was extremely entertaining with suspense and the spirit of adventure. The heroine has a bit of a smart mouth and tries to anger Wolf. He was so terribly honorable and altruistic, it made her grind her teeth! Watching the by-play between the two put a smile on my lips. When Lady Lenora scoffs at his overtures of love at first sight and his gentleness, treating her like a princess, he doesn’t take offense. He continues treating her with utmost respect and charm. In fact, I was charmed! Wolf was a dreamer, someone who wanted, no, needed to be a gallant knight for a damsel who needed saving. He was wonderfully lovable, so much a knight he rarely stepped out of the role. I particularly liked his philosophy about everyone needing to be free which was unusual for those times, but his knightly thoughts had even overcome the social mores of the time. Wolfram is a true knight fighting for democracy and civil rights in uniting Germany and protecting what he assumes is his damsel in distress. There’s a scene Lady Lenora is completely fed up with him and asks him why he acts this way, and why he is fighting for the peasants. How could he make a difference? He would only get himself killed. His response was very revealing. Lady Lenora tries not to get involved with Wolf, but she finds herself very attracted yet frightened of the control a man has over a woman. Here was a man who wanted to give and not demand for himself, but she had trouble trusting him. After Prince Kurt’s maltreatment she felt she couldn’t trust a man nor give him that much control. The gallant knight breaks her defenses with his honor, consistency and valor as love and passion blossoms between them. But oh, THEN, Lady Lenora really shows us who she is. I enjoyed how Lady Lenora was more than one would expect of a woman during the mid 1800’s. We saw how Wolf struggled with the idea that she was very independent and capable of dealing with what life dealt her. A thoroughly pleasurable read. 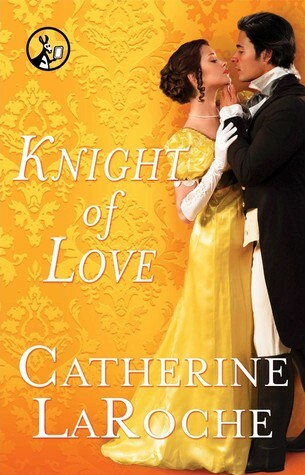 I recommend it to those lovers of romance, particularly the knightly type. This is Catherine LaRoche’s second book and it’s impressive. Love has won out again! About the author: Catherine LaRoche is the romance pen name of Catherine Roach, who is a professor of cultural studies and gender studies in New College at the University of Alabama. Catherine won the Romance Writers of America Academic Research Grant in 2009 and is writing a book on how the story of romance—“find your one true love and live happily ever after”—is the most powerful narrative in popular culture. A lifelong reader of romance novels, she combines fiction writing of historical romance with academic writing about the romance genre for the best of best worlds. 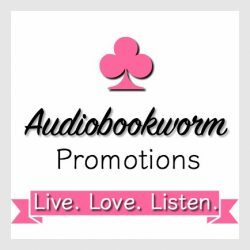 This entry was posted in Book Reviews, Historical Romance, Romance and tagged Book Review, Catherine LaRoche, historical romance, Knight of Love, Romance. Bookmark the permalink.